On December 23, just before the holiday season was in full swing, HWMO's Community Outreach Coordinator, Pablo Beimler visited his alma mater, University of California, Berkeley, and was interviewed by Niklas Lollo, a current graduate student and co-host of the Method to the Madness podcast. The show, which airs regularly on KALX 90.7FM (staffed by students and community volunteers), celebrates "the innovative spirit of the Bay Area." Each episode, they "explore the people behind the ideas, what makes them tick, and why so many of them have come out of" the beautiful Bay Area. Pablo Beimler was interviewed about various topics including the work HWMO does in the Pacific and his past experiences in the fire world. 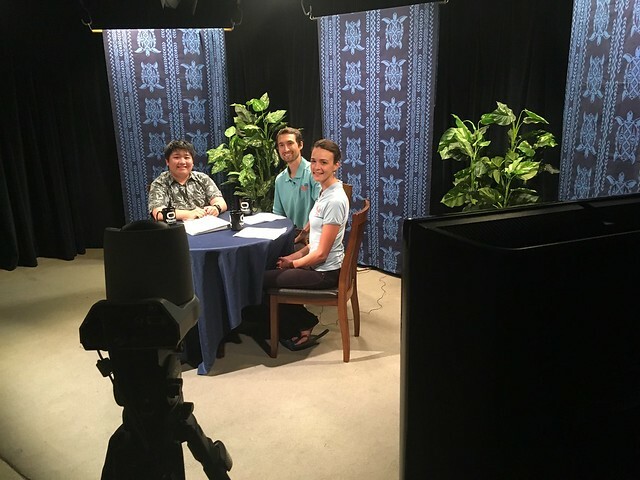 During the interview, Pablo talked story about how HWMO came to existence and the innovative work our organization is doing to safeguard communities and natural areas in Hawaii. Topics ranged from the differences between wildfire behavior on the islands and on the mainland, Firewise Communities, the Pacific Fire Exchange, and what to expect in the coming years for wildfire management in Hawaii. Tune in and you'll also hear about some of Pablo's past experiences working in the Stephens Fire Science Lab at UC Berkeley and Lake Tahoe for CAL FIRE. Big mahalo to Niklas Lollo and the folks over at KALX for dedicating a half hour of their air time and inviting us to be on the show!